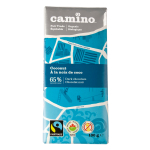 Camino's 100g chocolate bars are a leading line of Fairtrade and Organic chocolate bars in Canada. Unparalleded in taste and quality, their 16 mouth-watering flavours are sure to tantalize your taste buds. 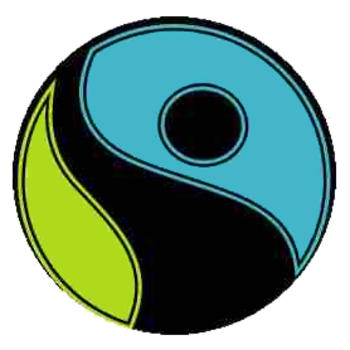 With quality organic ingredients that are sourced from environmentally friendly family farmers through Fairtrade practices. Chocoholics beware, after you try one of camino's divine flavours, you'll want to try them all! Extra Dark: Revitalize with the smooth intensity of this extra dark chocolate bar. Raspberry: The perfect combination of our mouth-watering dark chocolate and naturally sweet, tangy raspberry morsels. Milk With Sea Salt: This smooth milk chocolate combined with sea salt is the answer to your sweet and salty fix. A treat for your tastebuds. Caramel Crunch: Smooth dark chocolate that melts in your mouth, tastefully surprised by the sweet crunchy morsels of caramel. A treat for your sweet tooth. Coconut: The Caribbean beach. Taste the delicious flakes of coconut swimming in this rich dark chocolate. The taste of summer in every bite. Milk: Smooth milk chocolate with a hint of creamy hazelnut for the unconditional fans of milk chocolate. The real McCoy. Bittersweet: Deep, dark, intense. 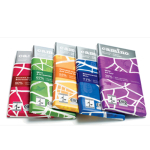 This dark chocolate is complex and nuanced, for those intent on discovering the true nature of chocolate. Dark: Rich and sophisticated dark chocolate that melts in your mouth with exquisite smoothness. Almonds: Dark chocolate with real crunchy bits of almonds. Mint: A combination of smooth dark chocolate and cool peppermint. The perfect chill to tantalize your taste buds. 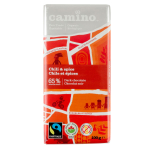 Orange: The brightness of sun-ripened oranges in perfect harmony with the richness of dark chocolate. Espresso: Mmm. Chocolate and coffee beans. It will wake up your taste buds and give you a second wind. Butterscotch & Sea Salt: the perfect dessert in a bar format. Think of sweet, salty, creamy and caramel. Once you’ve tried it, you’ll constantly crave it! Hazelnuts: This is the staple bar to have, the one everyone loves. Its crunch and creaminess will make you melt! Milk With Sea Salt: Whole milk powder°, golden cane sugar*°, cacao butter*°, cacao mass*°, whole cane sugar*°, ground hazelnuts°, sea salt (Guérande), ground vanilla beans*°. 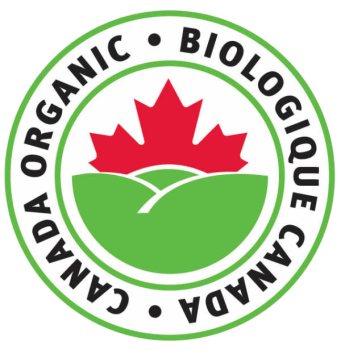 °Certified Organic. Caramel Crunch: Cacao mass*, golden cane sugar*, cacao butter*, caramel bits (cane sugar*, whole milk powder, butter, glucose syrup), whole cane sugar*, ground vanilla beans*. Coconut: Organic ingredients: cacao mass*, golden cane sugar*, coconut flakes, cacao butter*, whole cane sugar*, ground vanilla beans*. Milk: Whole milk powder, golden cane sugar*, cacao butter*, cacao mass*, whole cane sugar*, ground hazelnuts, ground vanilla beans*. Bittersweet: Cacao mass*, golden cane sugar*, cacao butter*, whole cane sugar*, ground vanilla beans*. 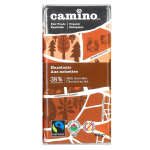 Almonds: Cacao mass*, golden cane sugar*, cacao butter*, crushed almonds (10%), whole cane sugar*, ground vanilla beans*. Mint: Organic ingredients: cacao mass*, golden cane sugar*, cacao butter*, peppermint crisps (cane sugar*, peppermint oil), whole cane sugar*, ground vanilla beans*. Orange: Cacao mass*, golden cane sugar*, cacao butter*, whole cane sugar*, orange essence, ground vanilla beans*. Espresso: Cacao mass*, golden cane sugar*, cacao butter*, whole cane sugar*, ground coffee*, ground vanilla beans*. Butterscotch & Sea Salt: Whole milk powder°, golden cane sugar*°, cacao butter*°, cacao mass*°, whole cane sugar°, butterscotch*° (8%) (cane sugar*°, glucose syrup°, butter°, palm oil°, molasses°, natural flavour), hazelnut paste°, vanilla extract*°, sea salt. Hazelnuts: Whole milk powder, golden cane sugar*, cacao butter*, chopped hazelnuts (15%), cacao mass*, whole cane sugar, hazelnut paste, vanilla extract*. 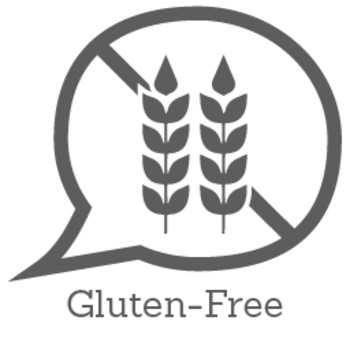 Allergen statement: May contain dairy products, tree nuts and soy. I loved the chocolate sample, a friends mother used to make homemade ginger chocolate and I have to say the 4 was top notch. I will absolutely purchase this chocolate in the future. Thank you for the opportunity to sample this fantastic product. I like the dark chocolate a lot. The taste and texture are exactly what I would expect from a premium dark chocolate. The ginger flavor is interesting. I didn't find it overwhelming spicy. Usually I am not one to mix savory and sweet together - so I'm not sure if I would purchase that flavor again. But I think my husband would love it! The ginger was a delicious addition to chocolate, and the chocolate had a soft balanced flavour appropriate to its darkness; not too sweet or bitter. The only downside was the mildly waxy texture of the chocolate. 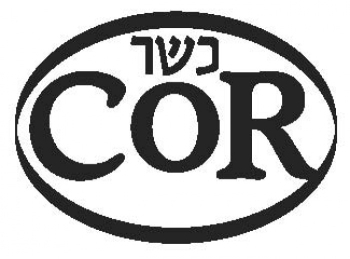 I would definitely recommend this chocolate to North Americans who are accustomed to waxy textured chocolates, however Europeans may find that quality though only slight in this chocolate, to be overbearing. I was shocked by the size of the bar that was sent! The three things I really loved about this bar were that it was fair trade, organic, and chocolate. The bitterness of the dark chocolate was pleasantly offset by the taste of the ginger. This is definitely a bar that I will be buying in the near future! 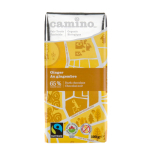 Love the spiciness of the ginger contrasted with the slightly sweet taste of the dark chocolate. This bar is not overly sweet, but definitely satisfies the "sweet craving". Also I just love that it's organic, GLUTEN FREE and Fair Trade!